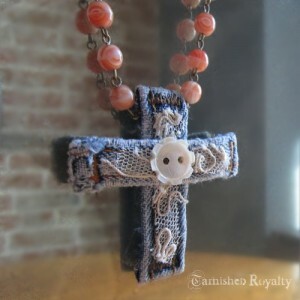 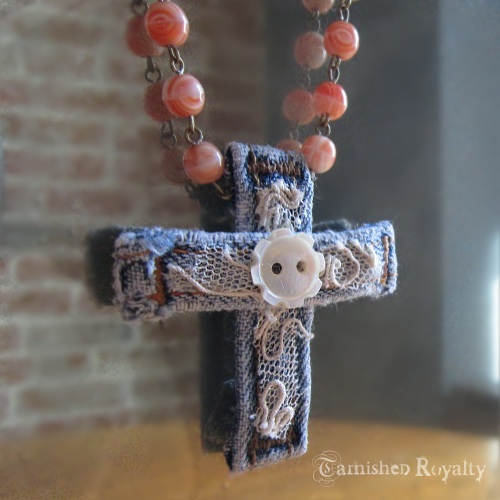 Upcycling at its best with belt loops from an old pair of blue jeans, overlaid with vintage lace and formed into a cross. 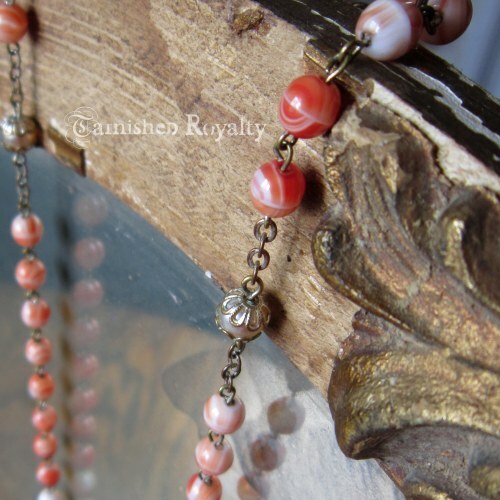 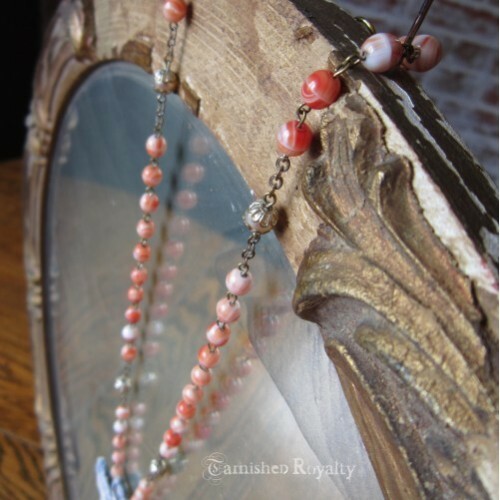 Vintage button and swirly coral glass beads add a pop of color. 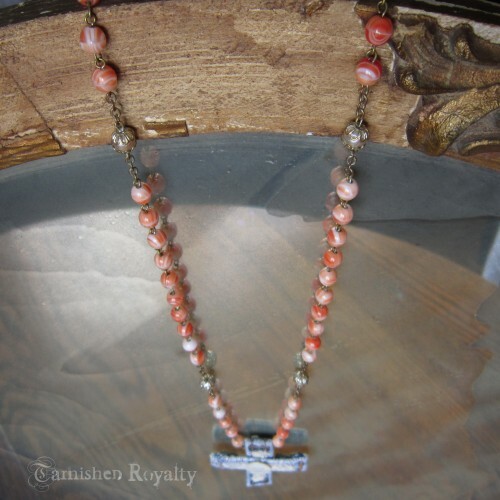 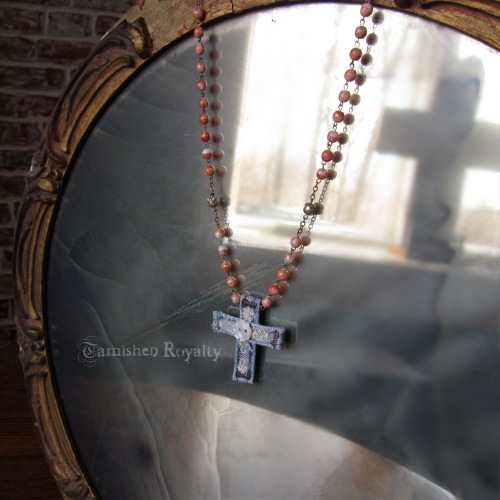 Cross hangs from a 22 inch beaded chain, goldtone lobster clasp closure.